COORDINATED ENTRY (CE) is a key component of the Homelessness Response System (HRS) that treats homelessness as an emergency to be responded to quickly and effectively. CE is a consistent, community wide intake process to match people experiencing homelessness to available housing focused community resources, that are the best fit for their situation. 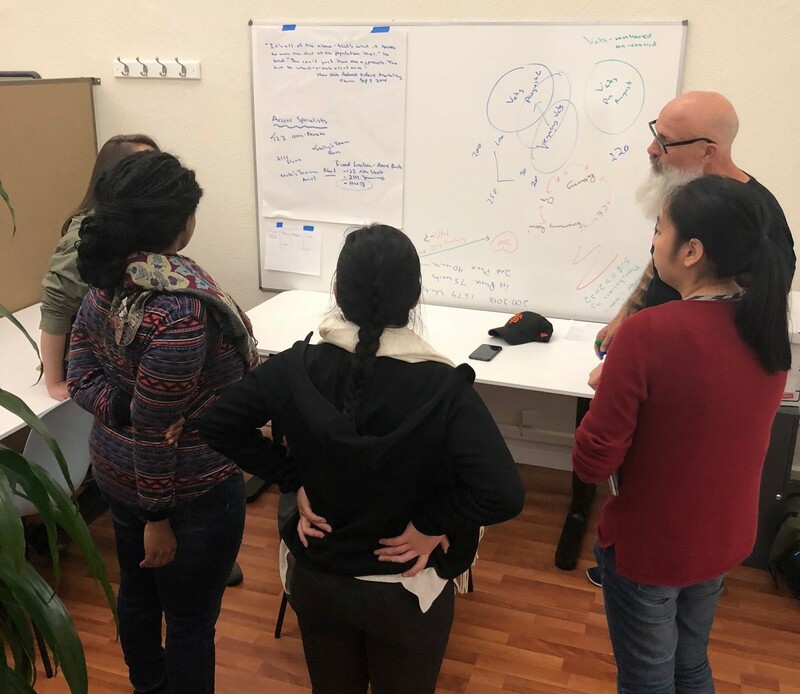 It includes a clear set of entry points, a standardized method to assess and prioritize people needing assistance, and a streamlined process for rapidly connecting people to a solution to their homelessness. ECS COORDINATED ENTRY ACCESS POINTS perform a variety of activities that assist adults who are experiencing homelessness. Access Point staff provide eligibility assessments to verify qualification for services; Problem-Solving to help San Francisco adults quickly exit the Homeless Response System, housing assessment to prioritize clients for housing based on living situation and vulnerabilities, and matching to determine eligibility for available housing opportunities and referral to a potential housing opportunity based on eligibility and assessment results. Currently Access Points are found at 123 10th Street and 2111 Jennings Street @ Van Dyke (United Council), with more to come. For more information about the Adult Coordinated Entry system, please email SFACES@ecs-sf.org or call 415-487-3300 x7000. If you are a provider and would like a member of the Adult Coordinated Entry team to come to assess at your site, contact SFACES@ecs-sf.org. THE GOAL: Reduce chronic homelessness 50% by December 2022: Focusing on the chronically homeless population will help ensure that people are housed more quickly. This has proven to be an effective strategy for reducing homelessness in San Francisco and communities around the United States.